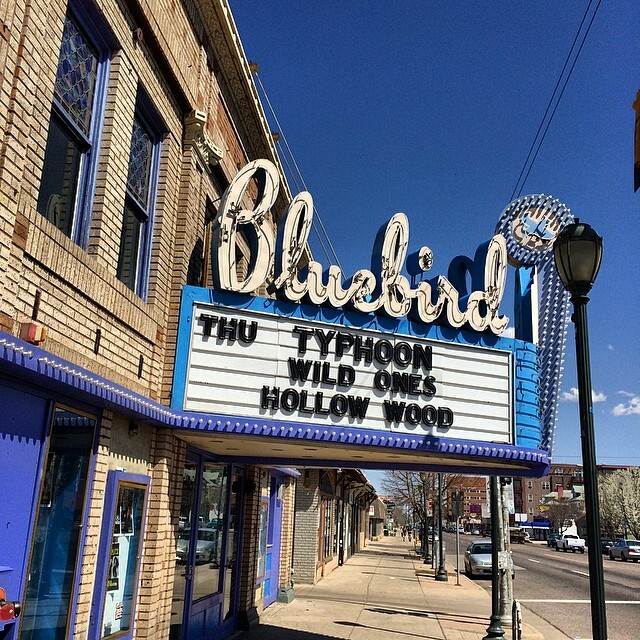 The Bluebird Theater is a relatively intimate space and a perfect place to experience a band live for the first time. It was my first concert here, which is all-together a new experience for me, as I typically frequent the same music venues and know where all the best standing spots are. It also happened to be my nephew’s first time at an actual concert, so it was extremely important to me that I go. I had heard a few songs previously from Typhoon, though I would not say I was too familiar with their albums. I spent the few days leading up to the concert getting familiar with their playlists, as well as touching on a few songs from the other bands, Wild Ones, and Hollow Wood, both of which I had never even heard of prior to purchasing my tickets the week before. My boyfriend, Ian, and I met up with my sister, her husband, and their son for dinner across the street from the venue at Mezcal for some tacos and margaritas before the show. Unfortunately, the staff took so long in getting anything out to us that we missed almost the entire performance of Hollow Wood, which I was hoping to see, as the recordings on their website sounded akin to Passenger, one of my favorite bands. The Wild Ones came on next, and it wasn’t what I expected. The tracks that I had listened to did not come close to showcasing the voice of the lead female vocals, which was sweet, folksy, and just a tad bit haunting. The voice quality reminded me so much of The Cranberries. I was captivated from the first song, though it did start to get repetitive with similar melodic lines in most of the songs . Typhoon was the headliner, and they did everything that I expected. While I was not wowed, the vocals and instrumentation was solid, and I especially enjoyed being able to see the strings and trumpet/flugel horn players live, as it added an excellent musical sound that is not often heard on their recorded tracks. They ended the night with a three-song encore, which was anticipated, but much enjoyed.